Can blockchain unlock a sustainable future? Blockchain – a really high-tech “spreadsheet” or ledger used to record transactions securely – offers exciting potential for clean energy. With the rapid rise of distributed energy technologies — such as rooftop solar, batteries, smart energy devices, and electric vehicles — some analysts believe the market for blockchain applications in the energy sector is many times larger than it is for cryptocurrency in the financial sector. Blockchain technology may hold great promise for a sustainable future, but we need to solve some important challenges first. Companies are already experimenting with peer-to-peer energy trading on a microgrid — a small network of electricity users (like an apartment building or campus) with a local electricity source (like solar panels and a battery) that is able to function independently — using blockchain. This would allow “customer A” to purchase solar power from “customer B” while they aren’t home (AirBnB for energy anyone?). Blockchain can, in real time, determine how much power is needed against how much power is available on the network, and execute a micro-transaction between customers that is automated, verified, and secure. In this same scenario, customers who lower their electricity use during peak times of day — or who own smart appliances that can do so automatically — can be compensated for the energy they save and the deferred cost of procuring excess energy from the grid (which might be sourced from a fossil-fuel power plant). Cutting out third parties like monopoly energy providers, brokers, and accounting or verification agencies can make all of these activities faster and cheaper. Other applications for blockchain in energy markets include accounting and validation for renewable energy certificates (RECs), which operate similar to carbon markets in that once a credit is issued, it should never be credited again to avoid market manipulation and maintain environmental integrity. Blockchain could also make charging and payment systems for electric vehicles faster, more secure, and less expensive by cutting out third parties. Imagine an app that can instantly tell you where there is excess solar on the grid (making power cheap and clean) or where there is excess demand (causing a shortage), and in comes a mobile battery to charge or discharge power. Buyer and seller are compensated securely and efficiently on the blockchain platform without the need for a third party. However, markets are only accessible for customers with the ability to participate, locking out others without the right technology and systems in place. This adds to an existing shortcoming of clean energy technology: renters, small businesses, and low-income customers who cannot afford this technology, or cannot install it on property they don’t own, may be left behind. Further, not all electrons are created equal; time and location matter greatly. Solar energy produced and credited on one part of the grid during the day still needs to make its way to homes and businesses, who may need power later in the evening. Simply trading solar credits is not the same as delivering clean power to the end user, and may undermine the environmental benefits if the end user is still getting dirty power from their local provider. Thus, we still need to continue to build out local, distributed, clean power networks in order for blockchain to really deliver its full benefit. Blockchain needs to be far less energy intensive, paired with a strong investment in complimentary technology like distributed energy, and affordable and accessible to all. The Energy Web Foundation (EWF) — a global nonprofit founded by Rocky Mountain Institute (RMI) and Grid Singularity — is developing an “energy-lean” blockchain platform specifically for the energy industry that can accelerate grid de-carbonization. It could standardize information sharing and transactions for the industry, while keeping costs and carbon footprints low. Investment in foundational hardware — like microgrids, distributed technology, electric vehicles, and universal wireless internet — must also keep pace with the imagined future for blockchain-enabled clean energy markets. Microgrids are the most optimal scenario for sharing clean power because we can control the creation and distribution of that power in a closed system, and won’t need to import additional power that may not be clean. Finally, these technologies must be made accessible and affordable to all customers, not just those who can afford to be early adopters. 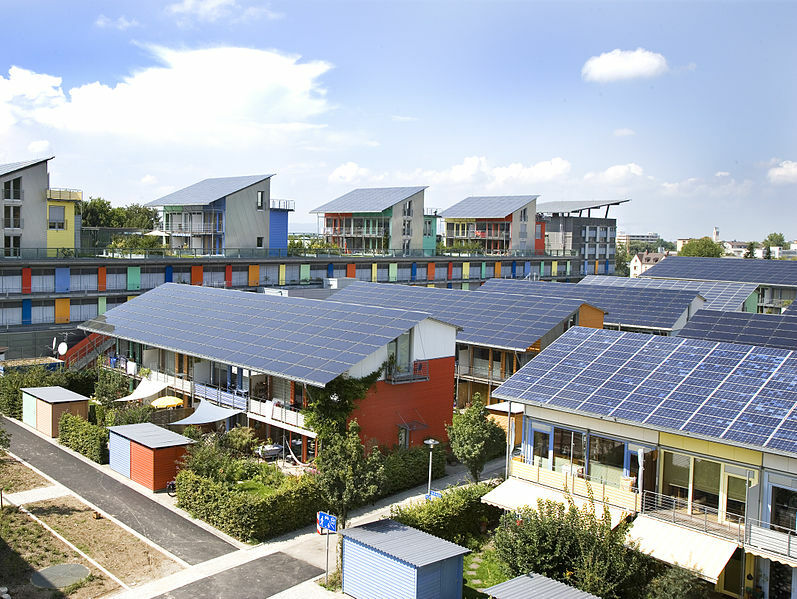 In fact, peer-to-peer energy sharing in an affordable housing complex with community solar, EV charging, and storage would be an excellent marriage of blockchain technology and equity. You should know that blockchain is not a panacea for all of our tech and sustainability needs. Blockchain, in its current form, is best for applications that require a high level of security, efficiency, and trust — which have traditionally required a costly and inefficient central authority to validate and verify transactions. The technology is still in its infancy, so much testing and experimentation is still needed. If this technology hopes to scale sustainably, it needs to be much cleaner and less power-intensive. Blockchain may be the key to unlocking a sustainable clean energy future for all, but one thing is for sure: we won’t have much of a future if we don’t get the details right. This entry was posted in Clean Energy, Community Solar, Fourth Wave, Grid Modernization. Bookmark the permalink. Both comments and trackbacks are currently closed. Generally agree with the points in the article, however a couple of key things I don’t..
Hi Steven, thanks for reading and commenting! I think we are in agreement on both points, but important questions still remain. I see plenty of potential in “energy lean” blockchain platforms which use PoA/PoS/etc., like the one being developed at the Energy Web Foundation (EWF) by our friends and the Rocky Mountain Institute – which you bring up and is also cited in the blog. These kinds low carbon platforms need to be ubiquitous in energy/sustainability related applications of blockchain, otherwise we undermine their environmental value. What policy levers or industry standards can we develop to ensure this happens? We’ll be watching closely and weighing in where we can. On the second point, I think we agree that P2P is an exciting new frontier for promoting equity and access for renters and low income customers, particularly those who live in multifamily housing. As I mention in the blog, “investment in foundational hardware — like microgrids, distributed technology, electric vehicles, and universal wireless internet — must also keep pace with the imagined future for blockchain-enabled clean energy markets.” This continued investment is key, and won’t happen on its own IMO. Some states, like here in CA, are introducing policy measures and public funding to promote continued investment in foundational hardware for renters and low income households – prices will also come down over time. We’ll continue to work on policy and programs that make clean energy –and other foundational hardware- affordable and accessible to all, making blockchain all the more effective in the energy sector. 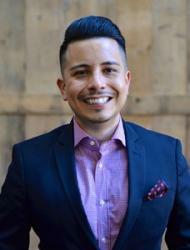 Jorge is in charge of building new partnership and alliances for EDF’s California climate and energy work, as well as engaging national Latino advocacy organizations.